Do you feel burnt out, stressed, exhausted, and 3 steps behind at all times? Please join us for Re-Charge, an informative and innovative webinar event co-hosted via The National Wellness Foundation. What You Will Learn During This Webinar Will Change Your Life! Hans Selye explains stress as, “The nonspecific response of the body to any demand for change.” Since our life is an accumulation of change, we better put ourselves in a position to adapt to the guaranteed transitions that we will all face! The time is NOW to join us and learn about natural options to increase your energy, overcome stress and anxiety, and supercharge your day! 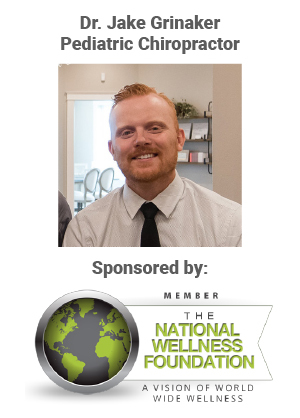 The National Wellness Foundation is proud to present our guest expert for ReCharge, Dr. Jake Grinaker. Dr. Jake was set on going to medical school through high school and into college, everything changed when Dr. Jake’s father passed away of a massive heart attack. It transformed the way he thought about health, causing him to search out all other possible healing professions from dentistry and physical therapy and everything in between. Dr. Jake’s wife’s cousin was a chiropractor, and after shadowing him, Dr. Jake knew what he was destined to do. Dr. Jake specializes in corrective chiropractic care, focusing on stress in the pediatric and family model. Due to Dr. Jake’s extensive experience with the stressors that affect all ages, from newborns to adults, you will often find him speaking on the topic. He leads a team of Doctors in his thriving practice in Fargo, ND and is excited to share some secrets to unlocking YOUR stress during our ReCharge event!